" Tradition means giving votes to the most obscure of all classes, our ancestors. It is the democracy of the dead. Tradition refuses to submit to that arrogant oligarchy who merely happen to be walking around. " once a month in Springfield, Massachusetts to discuss religion, politics, economics, history, culture, and just about everything else under the sun in the spirit of the writer G.K. Chesterton. 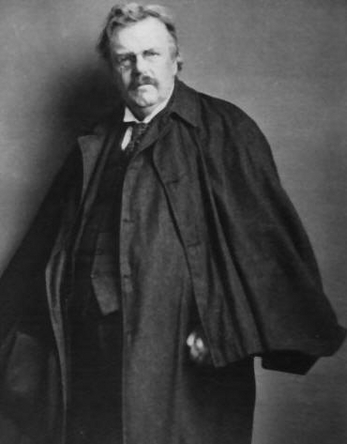 G.K. Chesterton, the Apostle of Common Sense, was an English thinker, writer, artist and poet.